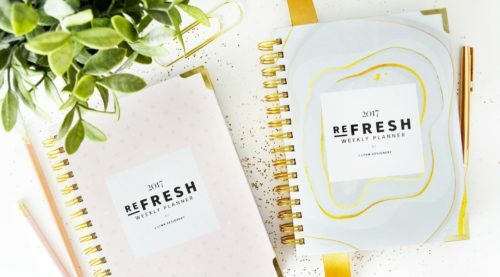 We are very excited to launch our Featured Product Series with the 2017 Planners from J.Lynn Designery! 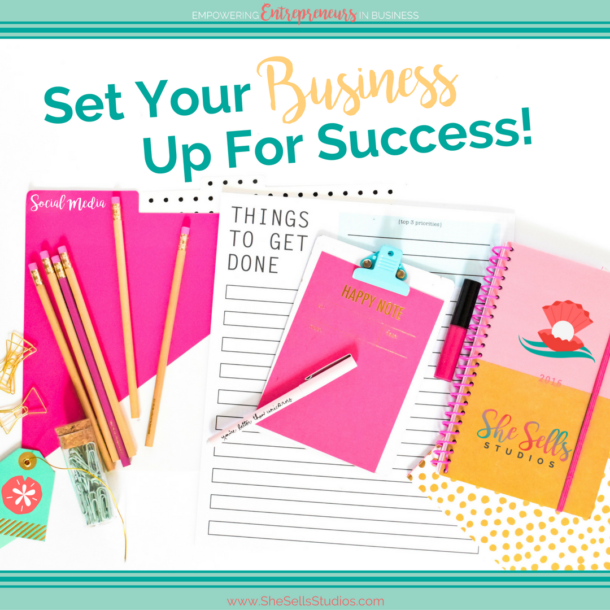 Please continue reading to learn more about Jenna, J.Lynn Designery and her amazing organizational products. Do you have kids? Where are you from? What is your career history? What is one thing that will surprise people to learn about you? Hi, friends! I’m a Midwest girl born and raised in my home state of Indiana. My studies in Business Marketing and Management at the University of Evansville were true propellers of me eventually branching out to start my own company. 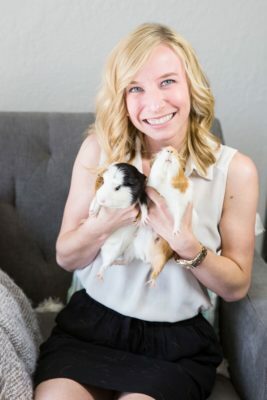 My path started in marketing and the wedding industry, but I found career love with graphic design at my first job in Kansas City while I was working with a local retail-marketing agency. As a result, I made the leap a couple years later to launch this crazy thing I call a business. While every day is an adventure, this path is one I couldn’t imagine giving up! Is there an interesting story behind how you got to where you are? I can honestly say that I truly believe my childhood hinted at SO many signs of me one day running my own design + planner company! My absolute favorite thing to do as a child was create, whether it was art, sewing, or building paper houses for paper clip dolls (yes, Mr. Paper Clip totally existed), I found endless joy in the tangibility of bringing an idea to life. My constant obsession with all things paper and organization were a clue. As a result, I was unknowingly building on this dream of mine without realizing it. 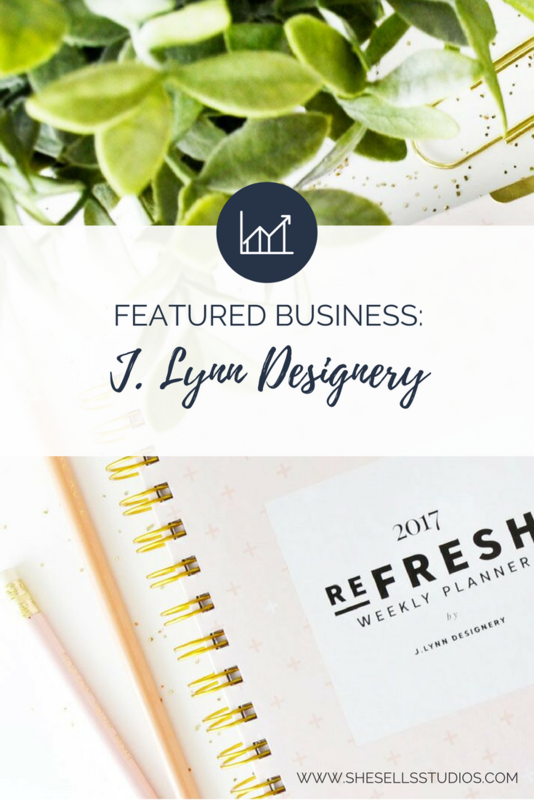 J.Lynn Designery launched almost two years ago… although, it didn’t really hit the ground running or become something I felt confident enough to share with the world until the summer of 2015. That summer I finally made the leap from my 9-5 and announced to my community that I was going to do this: I was going to build on my own company and take this thing full time. My business has certainly transformed quite a bit in the last year or so! I originally started strictly with design service offerings, including brand development and web design. While I still work with a select few clients on graphic and web design, I have now made the shift towards focusing on products. In particular, planners and organizational products built to bring function and beauty to your every day. 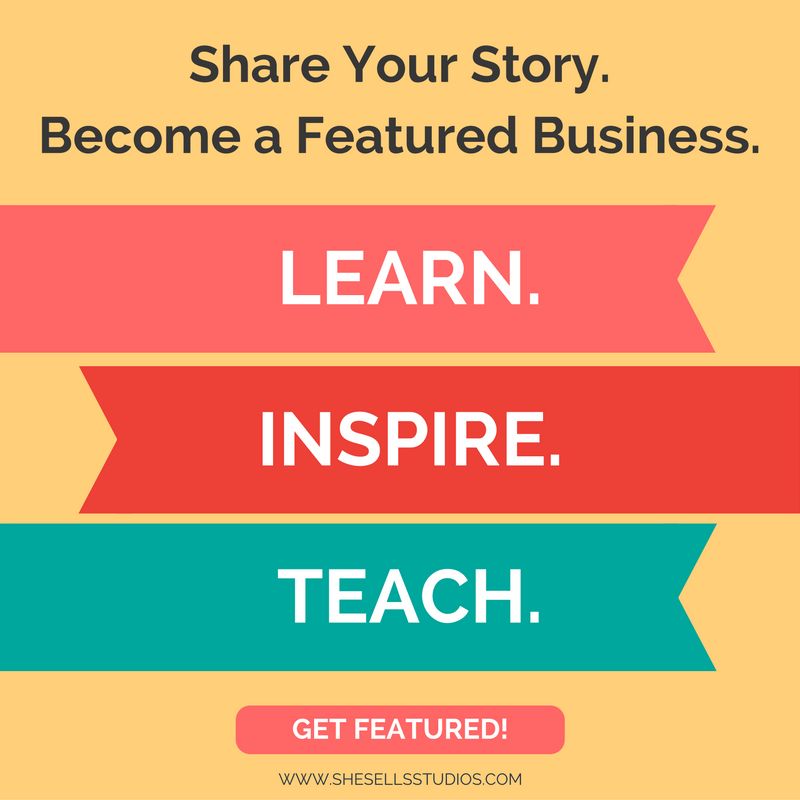 What makes my business unique? I have a passion for a fresh start, giving grace and documenting beautiful moments. I strive to transfer that feeling of pure joy to my customers like a breath of fresh air. My absolute favorite part of the entire J.Lynn Designery planner line is its intentionality. My planners have a design that brings as much function into your life as beauty. I find that my clean, bright aesthetic and the purpose behind the planners is what sets me apart. The purpose behind them is to plan your day or life with a refreshing perspective. This is what drives the design and messaging behind the planners. Alongside the functionality, I adore the size and feel of the planners. 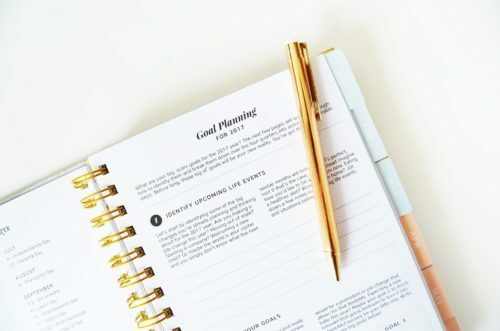 It took weeks of research and testing when I first launched my products to determine the perfect, portable size that still left room for writing and list making. As a result, this is what makes the planners so lovely to hold and carry with you everywhere you go. The J.Lynn Designery brand is built on a foundation of joy, clarity, and hope. I think there’s something powerful in the start of something new; the hope and pure, unfiltered joy that goes along with new beginnings is a beautiful thing. This is the refreshing and happy feeling I want my customers to see, feel, and touch. What do they do for a living? How did they find you? What are their values? Our typical customer here at J.Lynn Designery is the girl or woman who recognizes that she is enough and strives to be a better version of herself every day. She’s the person that finds joy in slowing down and peace in the quiet calm of the morning. Therefore, she pours her heart into her life and those around her without question or worry.